Most of us want sculpted, six-pack abs without having to do endless sets of crunches. But a toned tummy is about more than just feeling confident on the beach. Indeed, a strong core can help you to be more functionally fit and avoid injury, both when you’re exercising and in your everyday movements. Thankfully, crunches are far from the only way to exercise your abs. Here are six great crunch-free ways to work your core. If you’re looking to improve your core strength, there aren’t many things that will get you there more quickly than yoga. A number of the poses are simply impossible to do properly without excellent core strength. Try doing an elbow stand or try holding boat pose. 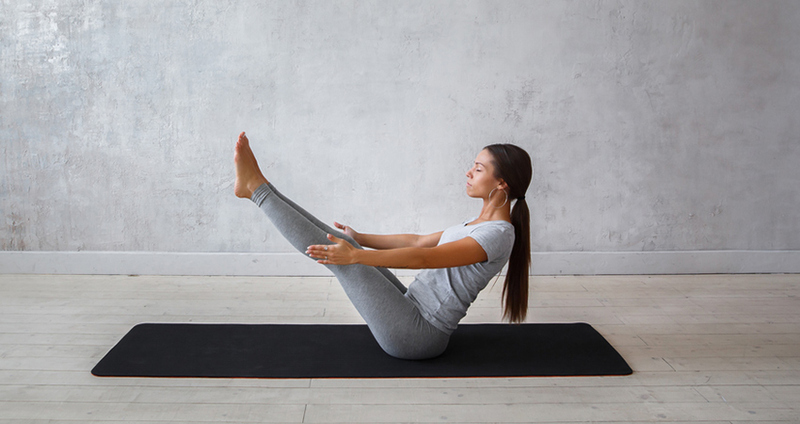 Add onto that the need to keep the abdominal muscles pulled in in uddiyana bandha and you have yourself world-class ab workout. Yoga is not only famous for working the abdominals, but it integrates the whole body for a balanced workout. This can help prevent imbalances in the body and make sure that your core is evenly strengthened. Planks and their variations are another great way of strengthening your whole core. 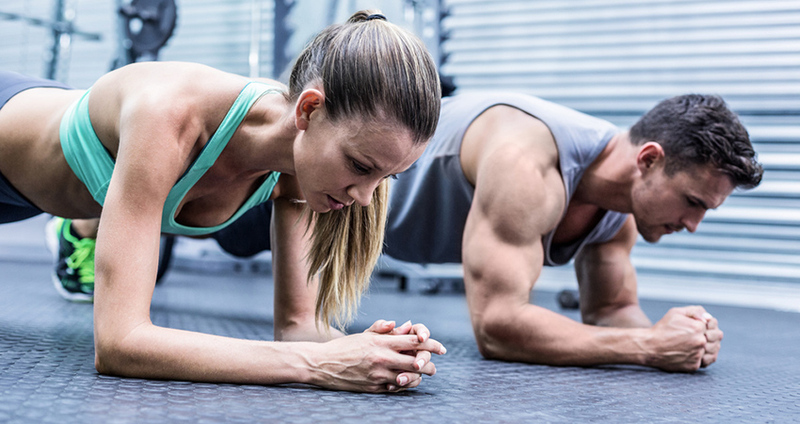 To perform a plank, get into a pushup position, with your arms directly under your shoulders. Make sure your back is flat and straight, then hold that pose. Pretty soon, you’ll feel tension in your core. Try to hold the pose for a minute or more. You can also perform side planks, where you hold yourself up on one elbow or hand while lifting up through your core. This is a great way of working your obliques. Make sure to do side planks evenly on both sides. When people think about working their abs, they often think about getting down on the ground and performing some variant on the sit up. While there are a lot of good things you can do for your abs on the ground, you can also get a great workout in with a cable machine. Wood chops are a great way to work both your obliques and your abdominals while also getting in some good work for your arms and serratus. In a wood chop, you begin with the cable high, around shoulder level, and then pull it down diagonally across your body. Repeat on both sides. Similarly, you can perform standing cable lifts, in which you begin with the cable low and pull it up diagonally across the body. With cables, the sky is the limit, and these are just two of the great exercises you can do for your abs. Bridges are often regarded as the opposite of the plank, working your core, as well as your thighs and glutes. Lie on the ground and plant your feet on the ground about hip-width apart. Let your arms rest on the ground, but don’t use them to press. Pushing with your legs and squeezing your core, lift your pelvis off the ground. Your body should be straight from your shoulders to your knees. If you don’t feel the burn enough doing this, try lifting one leg off the ground and holding it straight out. Make sure to do this variant on both sides. Another variation involves holding your hands straight up in the air to focus the effort more in your abs and glutes. Holding an ab wheel in your hands, kneel and place the wheel on the floor directly under your shoulders. Use your abs to hold your back straight and to keep your hips from sagging. Roll forward until you feel like you might lose your form, then return to the starting position. This takes a lot of abdominal strength, and it’s sure to give you a good ab workout. You can perform a lot of great exercises with a medicine ball. This is just one option; remember that there are many more. To perform a kneeling partner twist, kneel back to back with a partner. Slowly take turns twisting from your core to pass the ball back and forth between you. Focus on your form. Keep your stomach muscles tight throughout. Go both ways to work your muscles evenly.